Sasa Pueblo continues in his Reiki research using his sensible abilities which are bulit on control of temporal lobe in the brain. He builds something like ultrasonicsonar of bat as well as infrasonic sonar of whales. Infrasound is also produced by the organ. This potential allows him to perceive objects which ordinary human senses are unable to perceive. Sasa Pueblo has a prophetic potential based on the flow of producing microparticles size of 10 raised to the power of minus 20 meters. This type of particles are produced by neurons at the level of microtubules. This is knowledge of quantum chemistry and biology. It is necessary to regulate them, encode and decode them. Sasa Pueblo developed this oracular technique due to enormous amount of prophetic operations during his career and in order not to destroy his vision by prophetic performances of various kinds. This is only the remark regarding the issue of extrasensory perception. Sasa Pueblo has developed in his brain so called bio device for perception what traditional human senses have no chance to perceive. So Sasa Pueblo is able to perceive objects which Reiki masters Mikao Usui, Chujiro Hayashi, Hawayo Takata and other left over their burrial places. Such objects were created over the burrial place and they are based on interaction of human neurons and certain types of radioactivity. And such radioactivity and specific radiation starts in meteorites. So those objects appear in each individual who came to active contact with certain specific radiation for example meteorites, pitchblende, uranium and other radioactive substances included in periodic table of elements. We can talk about unique radiation connected with the atomic bomb in Hiroshima and Nagasaki. Individuals cleared by atomic bomb created in thousandth of a second posthumous object in the form of person shape. Only to point out that we are sorry for all victims of Second World War and especially in Japan. Sasa Pueblo has unique ability because he survived repeatedly the clinical death during the childhood. He has also trained actively early stages of clinical death over 20 years of esoteric research with the help of scientific methods and indirect evidences. Sasa Pueblo is in principle mentally more death person then alive person. He is permanently at the edge of life and death and this took many years of practice. Thus, the state of Sasa Puebla is like a state of clinical death and he remains in this state permanently. One foot in the world of the living and the other foot in the world of the dead memories. Sasa Pueblo actively cooperates with many autistic and ingenious tuned people and communicates well with people under the name Indigo Children. Indigo is again something like creative genius. Sasa Pueblo discoverd over the burrial place of Mikao Usui specific object in the size of a human palm closed to the spherical structure. And he found such objects within Reiki research over burrial places of dead Reiki persons. Research and facts went to the interaction of the human psyche and meteorites. Sasa Pueblo founds over the burrial place of Mikao Usui another object in the shape of the human body. He has found such objects over burrial places of Chernobyl victims. He has also found such objects over all burrial places of people who worked with radioactive material. It can be avenged based on indirect evidences that Mikao Usui was actively involved in the research and production uranium pitchblende on Japanese soil. Doctor Chujiro Hayashi. also contributed to this. At a time when both lived, material pitchblende and uranium make from it were already known. They most probably examined it for medical purposes. Interesting is that over graves of cosmonauts who spent in the space more then 3 months is also the human figure in the shape of large embryo. Thus astronauts who are exposed to cosmic radiation for long term produce during the life specific objects. It has its own logic of radiological activities in open cosmos. Sasa Pueblo some time ago examined what has remained after death persons in the epicenter of the atomic bomb explosion in Hiroshima and Nagasaki. He was interested mainly in stories of individuals who were erased from this world by atomic radiation in thousandth of a second and after them remained only black spots. He returned mentally at a distance on those places and he found fog figures on places of these black spots. Thus thousandth of a second was enough to mix atomic explosion with neurons and the human psyche and such posthumous object was created. Sasa Pueblo is able to penetrate mentally through this object at the moment into our galaxy in the range of 100 km raised to the power of 400 km. Neolithic people from Göbekli Tepe knew mentally penetrate in all directions to the space 100 km raised to the power of 300 km. They moved within the space of microparticles 10 m raised to the power of minus 20 m in the macro and micro world. This is highly inaccurate number which is only indicative. 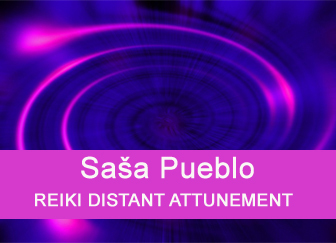 Sasa Pueblo is able to move throughout whole planet using natural consciousness. We can also talk about the collective consciousness in which the man does not distinguish and does not perceive differences between himself and another person, animal, rock or planet. He perceives them as identical twin or a siamese twin. Sasa Pueblo mentally merged with the rock. And such kind of consciousness is necessary for mentall penetration into the burrial place of Mikao Usui and perceive objects which this person left running. 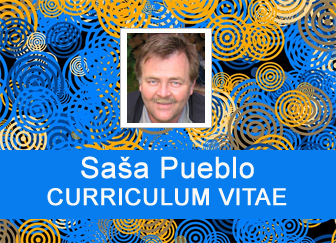 Sasa Pueblo has founded practical esoterism and spiritual way and based it on individuals who worked in the past with meteoritic material and in nowdays with individuals who work and come to physical contact with pinchblende and other radioactive material. Sasa Pueblo is mentally able to find such individuals and their burrial places and copy their objects for himself but also other individuals. We call such objects “cold Reiki objects” which are not activated in the aura of the person by itself. It is necessary to connect them by brain neurons for their activation. Inside neurons should run pictures of the death person. When you download for example the picture of Mikao Usui from the imagination then the active object in the aura above the head becomes again cold spherical shape. You can ask why is good to have such objects in the aura? Isn´t enaugh to receive the object over the head of living Reiki master in its full activity? Certainly this is enough in ordinary Reiki practice. But this is not enough for professionals and they want to do Reiki exactly as main leaders mainly Mikao Usui. Don´t forget the fact that with those objects you come to unique information and practice of Mikao Usui without the help of third person. If you wouldn´t have such objects, you have to listen about Reiki history from historian. He often provides distorted information about life and Reiki of Mikao Usui. “Of course, Sasa Pueblo does not built Reiki only from such cold objects. This is only Reiki research and what this research brings on scientific basis. 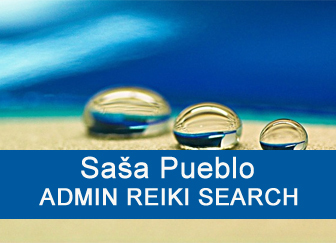 Sasa Pueblo is at the same time Reiki healer who tests and builds distance Reiki healing. By this time he has tested and treated distance Reiki system already 3 years. Sasa Pueblo and his esoteric friends collect lists of Reiki healers over the whole world: Japan, America, England, Germany and other countries. They test by oracular techniques what kinds of Reiki exists and how to practice them. Example could be finding that part of Reiki masters who consecrate into Reiki 1., 2. and 3. and they can mentally activate lymphatic system of the human body and here they activate small thymus glands around lymphatic stream. These tiny objects the size of small beans are often blocked. Certain type of Reiki activates these objects and then they start to produce substances which slows aging. For example in the childhood this object in the child chest produces hormonal substance thymosin which blocks rapid maturation. When Reiki system stimulates the thymus over the body of an adult, thus activating these types of substances slow down aging. But this is not all. These small units which are in the human body about 50-100 pieces are able to produce unique energetic objects acting to cells and cells organela and even deeper at the level of proteins, aminoacids and elements. They may contain information breaking processes of aging. Sensible person perceives such energetic activities in children and their thymus in thoracic region. Next Reiki and mainly american lines of Reiki master Hawayo Takata directs to navel area and remains of the umbilical cord. This Reiki line activates such structure and the nervous system after the mother in the adult body. But what is more fantastic, this Reiki activates substitute mitochondria which produced mitochondria Eve after fertilization. And this is subsidiary mitochondrias Eve which control the activity within cells but they are also in bones. This Reiki is unique. Mikao Usui Reiki is grown within Japanese Reiki and this directs to activation of all prehistoric structures which describe an evolutionary medicine. Evolutionary medicine describes that in the body we have 200 prehistoric structures in the form of dormant cells. Here heading SRT system and the opening of one of the prehistoric structures in the thoracic part. Sasa Pueblo studies and by oracular techniques examines long-lived individuals and in his healing practice realizes distance healing. Thus client who receives Reiki is not near to him. Distance Reiki compels neurons of living person to adopt the principles of long-lived individuals. 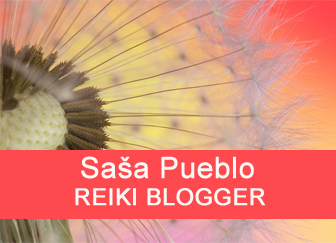 Sasa Pueblo did not take over Reiki healing and Reiki system mindlessly and without the process of proving the efficiency and effectiveness of treatment. 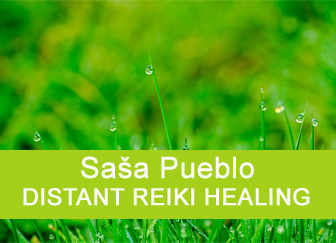 Sasa Pueblo is not an enthusiast of Reiki for more pleasant life and a joint congregation. 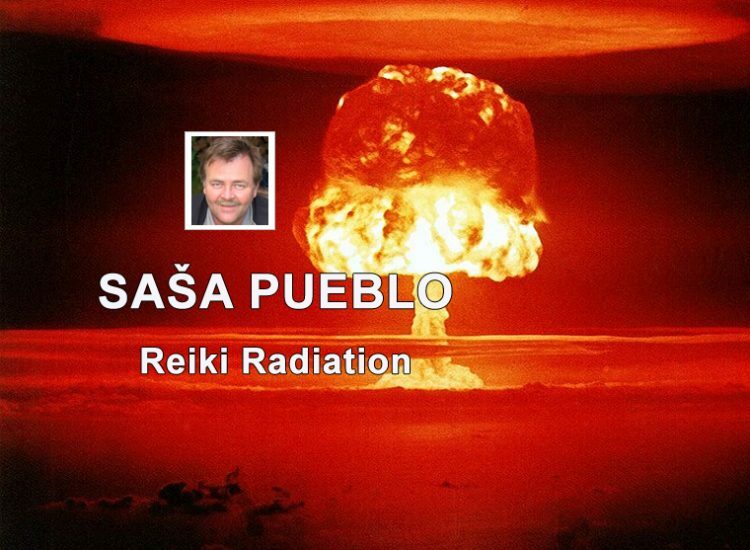 Sasa Pueblo is not interested in Reiki which is practiced by ordinary public.